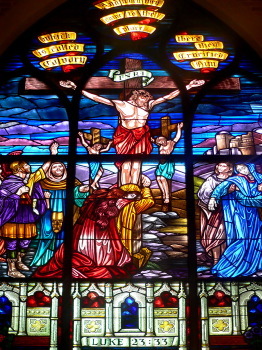 This stained glass window from Witness Park and the Prayer Tower in Pittsburg, Texas, depicts the crucifixion of Jesus Christ on Good Friday, two days before His Resurrection on Easter Sunday. How does one calculate Easter then? How does one calculate Gregorian Easter? Isn’t there a simpler way to calculate Easter? Isn’t there an even simpler way to calculate Easter? Is there a simple relationship between two consecutive Easters? How frequently are the dates for Easter repeated? What about Greek Orthodox Easter? Will the Easter dates change after 2001? In the Christian world, Easter (and the days immediately preceding it) is the celebration of the death and resurrection of Jesus in (approximately) C.E. 30. Easter Sunday is the first Sunday after the first full moon after vernal equinox. The calculation of Easter is complicated because it is linked to (an inaccurate version of) the Hebrew calendar. Jesus was crucified immediately before the Jewish Passover, which is a celebration of the Exodus from Egypt under Moses. Celebration of Passover started on the 15th day of the (spring) month of Nisan. Jewish months start when the moon is new, therefore the 15th day of the month must be immediately after a full moon. It was therefore decided to make Easter Sunday the first Sunday after the first full moon after vernal equinox. Or more precisely: Easter Sunday is the first Sunday after the "official" full moon on or after the "official" vernal equinox. The official vernal equinox is always 21 March. The official full moon may differ from the real full moon by one or two days. (Note, however, that historically, some countries have used the real (astronomical) full moon instead of the official one when calculating Easter. This was the case, for example, of the German Protestant states, which used the astronomical full moon in the years 1700-1776. A similar practice was used in Sweden in the years 1740-1844 and in Denmark in the 1700s.) The full moon that precedes Easter is called the Paschal full moon. Two concepts play an important role when calculating the Paschal full moon: The Golden Number and the Epact. They are described in the following sections. The following sections give details about how to calculate the date for Easter. Note, however, that while the Julian calendar was in use, it was customary to use tables rather than calculations to determine Easter. The following sections do mention how to calculate Easter under the Julian calendar, but the reader should be aware that this is an attempt to express in formulas what was originally expressed in tables. The formulas can be taken as a good indication of when Easter was celebrated in the Western Church from approximately the 6th century. In years which have the same Golden Number, the new moon will fall on (approximately) the same date. The Golden Number is sufficient to calculate the Paschal full moon in the Julian calendar. Easter Sunday is the first Sunday following the above full moon date. If the full moon falls on a Sunday, Easter Sunday is the following Sunday. But under the Gregorian calendar, things became much more complicated. One of the changes made in the Gregorian calendar reform was a modification of the way Easter was calculated. There were two reasons for this. First, the 19 year cycle of the phases of moon (the Metonic cycle) was known not to be perfect. Secondly, the Metonic cycle fitted the Gregorian calendar year worse than it fitted the Julian calendar year. It was therefore decided to base Easter calculations on the so-called Epact. Each year is associated with an Epact. The Epact is a measure of the age of the moon (i.e. the number of days that have passed since an "official" new moon) on a particular date. If this formula yields zero, the Epact is by convention frequently designated by the symbol * and its value is said to be 30. Weird? Maybe, but people didn’t like the number zero in the old days. Since there are only 19 possible golden numbers, the Epact can have only 19 different values: 1, 3, 4, 6, 7, 9, 11, 12, 14, 15, 17, 18, 20, 22, 23, 25, 26, 28, and 30. The Solar Equation is an expression of the difference between the Julian and the Gregorian calendar. The value of S increases by one in every century year that is not a leap year. The Lunar Equation is an expression of the difference between the Julian calendar and the Metonic cycle. The value of L increases by one 8 times every 2500 years. The number 8 is a constant that calibrates the starting point of the Gregorian Epact so that it matches the actual age of the moon on new year’s day. Add or subtract 30 until GregorianEpact lies between 1 and 30.. In the Gregorian calendar, the Epact can have any value from 1 to 30. Example: What was the Epact for 1992? The Epact for 1992 was 25. How does one calculate Gregorian Easter then? Choose 18 April, unless the current century contains years with an epact of 24, in which case 17 April should be used. If the Golden Number is > 11 choose 17 April, otherwise choose 18 April. The proof that these two statements are equivalent is left as an exercise to the reader. Example: When was Easter in 1992? In the previous section we found that the Golden Number for 1992 was 17 and the Epact was 25. Looking in the table, we find that the Paschal full moon was either 17 or 18 April. By rule B above, we choose 17 April because the Golden Number > 11. 17 April 1992 was a Friday. Easter Sunday must therefore have been 19 April. Suppose you know the Easter date of the current year, can you easily find the Easter date in the next year? No, but you can make a qualified guess. If Easter Sunday in the current year falls on day X and the next year is not a leap year, Easter Sunday of next year will fall on one of the following days: X-15, X-8, X+13 (rare), or X+20. If Easter Sunday in the current year falls on day X and the next year is a leap year, Easter Sunday of next year will fall on one of the following days: X-16, X-9, X+12 (extremely rare), or X+19. (The jump X+12 occurs only once in the period 1800-2200, namely when going from 2075 to 2076.) If you combine this knowledge with the fact that Easter Sunday never falls before 22 March and never falls after 25 April, you can narrow the possibilities down to two or three dates. 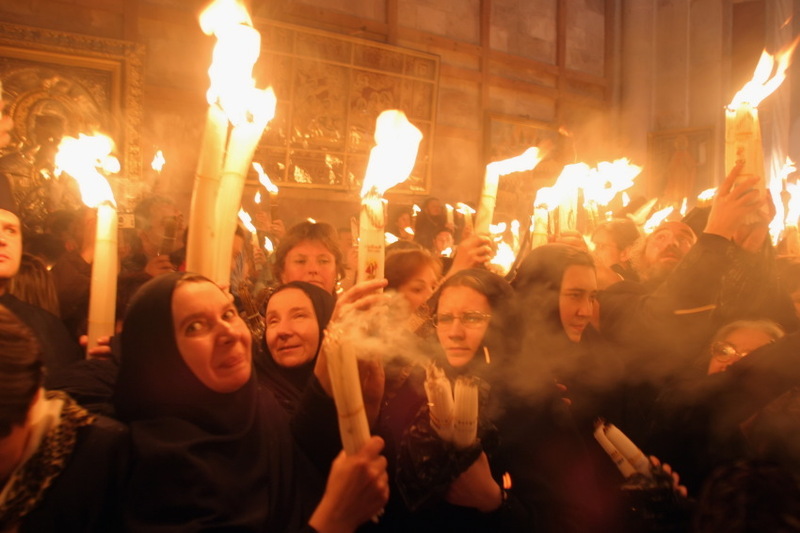 The longest attested miracle in Christianity, the Holy Fire, occurs at Church of the Holy Sepluchre in Jerusalem on Holy Saturday, the day before Greek Orthodox Easter. The Greek Orthodox Church does not always celebrate Easter on the same day as the Catholic and Protestant countries. The reason is that the Orthodox Church uses the Julian calendar when calculating Easter. This is case even in the churches that otherwise use the Gregorian calendar. When the Greek Orthodox Church in 1923 decided to change to the Gregorian calendar (or rather: a Revised Julian Calendar), they chose to use the astronomical full moon as the basis for calculating Easter, rather than the "official" full moon described in the previous sections. And they chose the meridian of Jerusalem to serve as definition of when a Sunday starts. However, except for some sporadic use in the 1920s, this system was never adopted in practice. Did the Easter dates change after 2001? At at meeting in Aleppo, Syria (5-10 March 1997), organised by the World Council of Churches and the Middle East Council of Churches, representatives of several churches and Christian world communions suggested that the discrepancies between Easter calculations in the Western and the Eastern churches could be resolved by adopting astronomically accurate calculations of the vernal equinox and the full moon, instead of using the algorithm presented above. The meridian of Jerusalem should be used for the astronomical calculations. The new method for calculating Easter should have taken effect from the year 2001. In that year the Julian and Gregorian Easter dates coincided (on 15 April Gregorian/2 April Julian), and it would therefore be a reasonable starting point for the new system. However, the Eastern churches (especially the Russian Orthodox Church) are reluctant to change, having already experienced a schism in the calendar question. So nothing will happen in the near future. If the new system were introduced, churches using the Gregorian calendar will hardly notice the change. 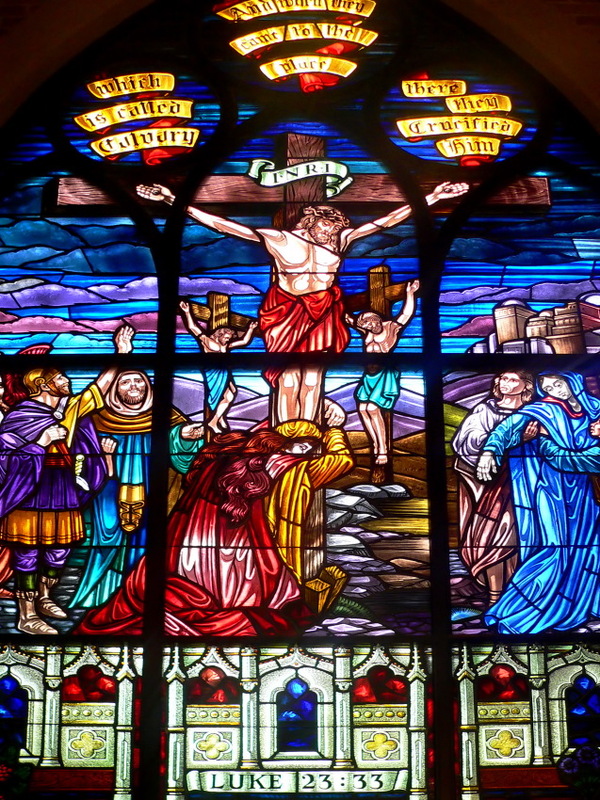 Only once during the period 2001-2025 would these churches note a difference: In 2019 the Gregorian method gives an Easter date of 21 April, but the proposed new method gives 24 March.